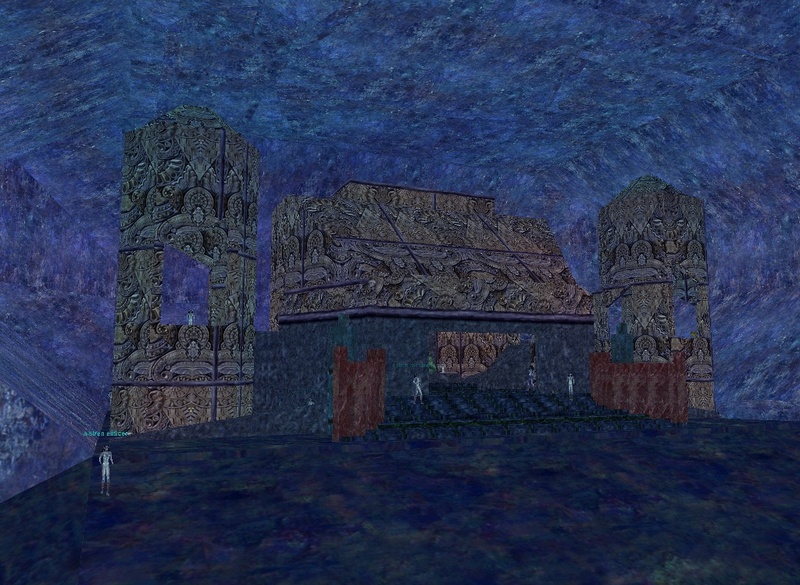 Home to the Sirens of Velious, much of the Grotto is underwater. In addition to the Sirens, whose palatial quarters can be found deep within the caves, there are many types of aquatic life here. Seahorses, swordfish, mermaids, and elementals can be found throughout the area and are highly aggressive. Above water are the passive walruses and a clan of unwelcoming Bulthars. Showing 25 out of 49. Click here for the full list. I've noticed a lot of people begging for succor to get through this zone. If you can try to kill of some of the invis fish at the entry and train (stick to the right tunnel then go up) to the waterfall to reinvis and get out of the pool onto the ground and north I think. Just make sure no one's in zone when doing so. As for the zone, it's overlooked for its plat earning and aa potential in the mid-late 60's. The deepwater inks off animals are a cheapo way to raise alchemy and crushed diamond dust drops once in a while off the animals. 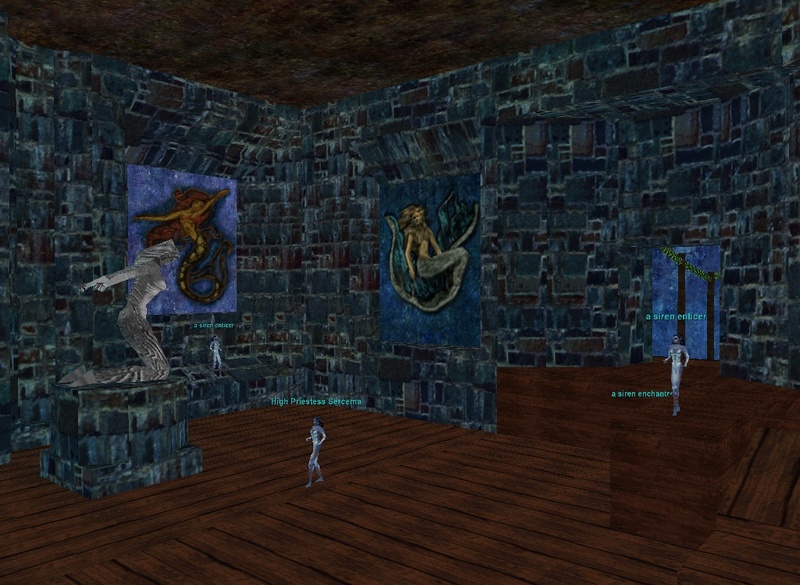 A few nice tribute items drop off the named sirens. The gems sell for good plat to venders or are good for tradeskills. TSS and TBS zones have a better rate on crushed diamond dust but it isn't bad here. I really like underwater zones, so I floated around here a lot, especially since I had to go to WW. If you are a necro all you have to do is hit levant spell and you will be right next to tunnel that takes you to Western Wastes. Does this drop off mermaids/sirens, etc or only the goofy uthork mobs? edit: I got about 10 dusts from different mobs now, ALL were from the different Ulthork type mobs none were seahorses or swordfishes. And it seemed to me that I got a better drop rate from the white ulthork mobs instead of the dark ones. Not sure if this makes a difference. What's the story on faction here? The bulwarks and Ulthorks hate me - maybe because I hunted them for thier tusks in EW. But the Elephant and Calf Beasts, walrus and Seahorses Con indiff without invis on. In EW walrus were on the Ulthork faction I thought. Anyway I decide to take a dip and look around since I was invis - I head hard left at zone in and just as I get to the tunnel bang- kick- bite! Are they guardians and aggro anything in the water? If I kill enough here do I ruin the faction with the other beasts, thus making succor across the zone a sure encounter? There are fishes in the water that see through invis. If you are a good enough swimmer you can make it through the tunnel and onto the platform without losing too much health and then re-invis. first of have a sow or Jboots up and get a good map. at the zone in you will see a pool, jump in and look to your left, you will see 2 sea horses guarding a tunnel, swim right by them if you are a tank in your 40+ you should have no problem living long enough to break away from them. Swimp past them and up the tube, immedeatly spim and look for the opening in the sorrounding cliffsyou are at the top of a waterfall, go down the waterfall and immedeatly to your left, dropping down the waterfall will buy you plenty of time to out run the 2 hourses that are following you. ump out of the water to the land of of the left of the waterfall. now you are on land, you have lost agro from the sea horses, and you are lookin at a bunch of walrus lookin men. carefully pick your way to the tunnels, and before you have agro /ooc to see if anyone is in WW side, if they are not, bite down on your helmit, and pray your maps are good, just train out of zone. I have crosses SG manytimes, and cannot describe the tunnels there, all i can say is get a good map and plot your course before you try the run from the water to the WW outzone. Never tried this little trip backwards, so i have no idea if you can swim up the waterfall. 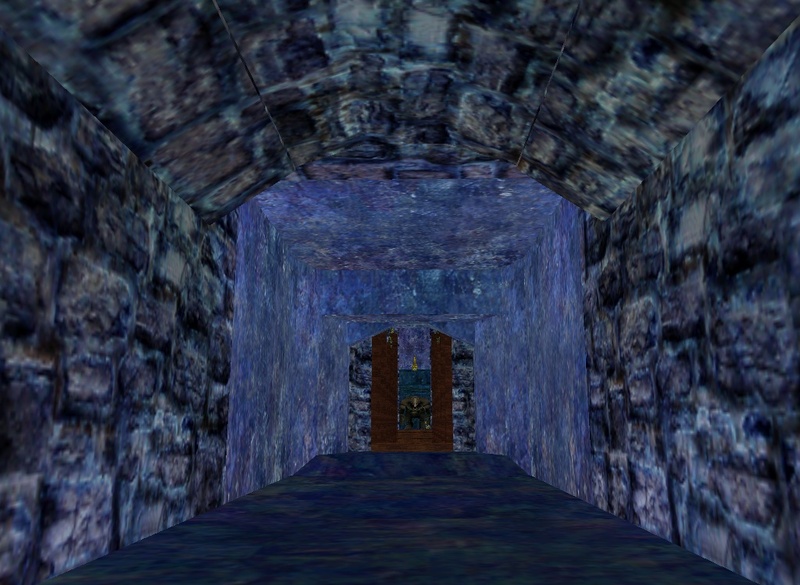 if you zone in from cs and go into the 1st large chamber and turn right there will be an underwater tunnel. 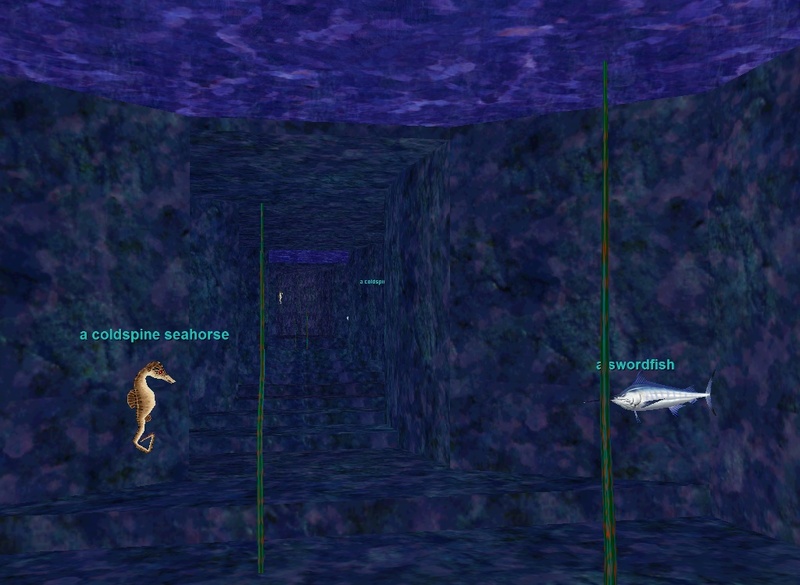 if you follow the left wall of the tunnel you will come to a small ledge where you can jump out of the water and clear the aggro from the seahorses that were guarding the tunnel. the ledge will have a ramp leading up to a bridge, thw area near the water is safe from aggro and ther is 1 swordfish that wanders by, his spawn time is 28 min, he can be pulled with minimal risk of adds and when he runs he wont path into anything dangerous. this is a viable spot if you wish to solo this, im guessing you are after a tooth , they are thankfully quite common. I do not claim to know where all of the sword fish camps are &#8211; I will tell you about the only one that I have done. Once you zone in from CS have your druid or wizzy evac you across the zone the whole way to the WW side. If you don&#8217;t have said druid or wizzy read below for methods to cross the zone. Kill the 3 bultharks in the area by pulling them to the tunnel entrance (one of them is a roamer) and you now have a clear area to camp in., just keep an open eye for the one roaming mob on the 10 or 12 minute cycle. (never timed it just a guess). The the very eastern edge of the lake is directly in front of you, now. At this point you just med up, get EB on and jump into the water. There are 2 of your sought after swordfish (the ones that drop the teeth I assume you are after) that spawn rite there. We simply killed one and mezzd the other. With a party of 65mage , 52 Shaman , 51 Druid, 52 cleric we let the pets tank and I (cleric) did the healing. Uber easy fight for a normal group in 52 as long as you have a slower and a mezzr. We did not get any adds in all four cycles and each dropped a tooth every time. Even with the 65 mage in group I got one gold bub in 3 hours of play, we chain-pulled and only slowed down to do the swordfish. Going back tonight in a group of 52s for xp and hides. Swordfish can not be rooted or snared. They are immune. Been raiding the Temple area in SG for a week or so now. Have seen two or three swordfish in the tunnels that lead to the Temple. As far as pull spots most of the swordfish are fairly alone so we just rush them as we move in to the Temple. This dropped off "a siren sorceress" who we pulled from the small pool room at the rear of the are after you drop down the well. It is no drop and has a graphic like a BP (was a little bit exciting on first look) - anyone know what it is for? Also "a siren sorceress" not listed in beastery. Wasn't noticeably tougher than the other sirens. It is a piece of a skyshrine quest the reward is. The mask I am wearing in my profile. Mask of Draconic Enhancement. I found one aswell...i would REALLY like to know what it is for....you ever find out? Will lesser succor drop you off at the same point as succor? #ZeenaHaven, Posted: Mar 14 2003 at 10:42 PM, Rating: Sub-Default, (Expand Post) NOOOO-don't listen to him! Yes it will. Both the succor spell and the lesser succor spell will always bring you to the same location. Edit- I had thought they removed the succor points in SG, however, this apparently was a bad joke played on me by SoE. What do you mean they've now removed the succor point in SG? It is now impossible to succor to WW zone? Not true, succorred from CS to WW zi last night, all as normal. True you pop into 2 walrusses, but they are indiff unless agroed by the wanderring ulthork. Matter of luck really. If agroed simply run east to WW zone (bout a 3sec run). I've had about a 9 in 10 success rate of not succorring when the ulthork was in agro range so it is relatively safe. How do you get to the shimmering sea spirit? RE: How do you get to the shimmering sea spirit? Rare spawn anywhere there is an elemental. THE BEST WAY TO GET ACROSS SG. Be aware that using Ghetto Succor to get across SG is exploiting a bug and a big No-No if you're caught. I have a friend who had two warnings on his account for other similar low-grade exploits and was then caught doing this. He was suspended for a month. The GMs are aware of this exploit and have been known to hang out in the zone and watch for people doing it, so attempt at your own risk. I know this post is a bit old and the camp exploit may be gone now, but I sure wish Verant would focus their resources more on fixing exploits than on "catching people," especially when the exploit isn't that big a deal. I guess it's like the police departments that would rather run radar traps than solve murders... go for the easy conviction. If you ever see a GM They're a rare spawn on occasion,lol. what sees through rogue hide/sneak here? Twice I have tried to cross SG without a druid or wizard, and twice I made it without a single thing agroing. Swim into the tunnel hugging the bottom left corner. You'll pass one horse which will not agro if you are glued to the corner and don't stop. When you reach the point where the tunnel bends up, swim up to air. This is a good point to reinvis if you need to. 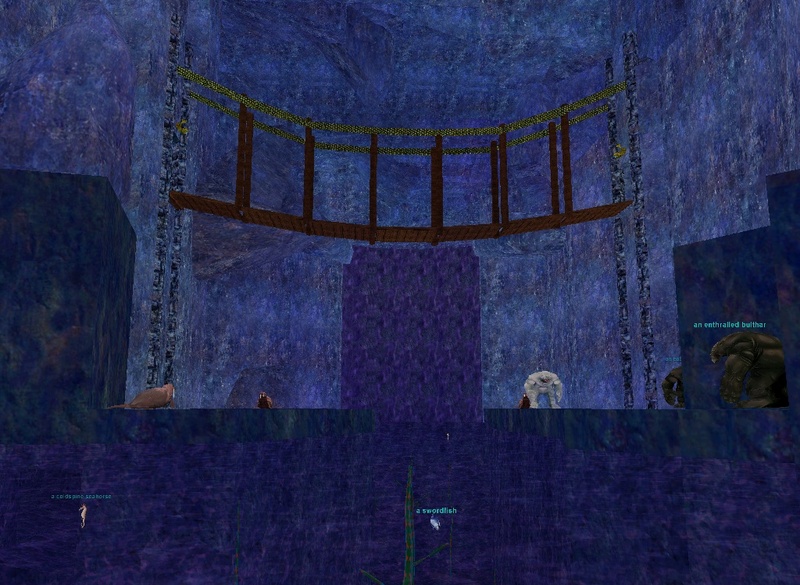 Swim over the ledge that is the only way down, and you'll land in a pool with some fish that do not see invis. On the left is land, and if you get into the near corner of it as far back as you can sit you will not be agroed even if you lose invis. Be careful, though, as one wandering mob comes pretty close if you're not all the way back. 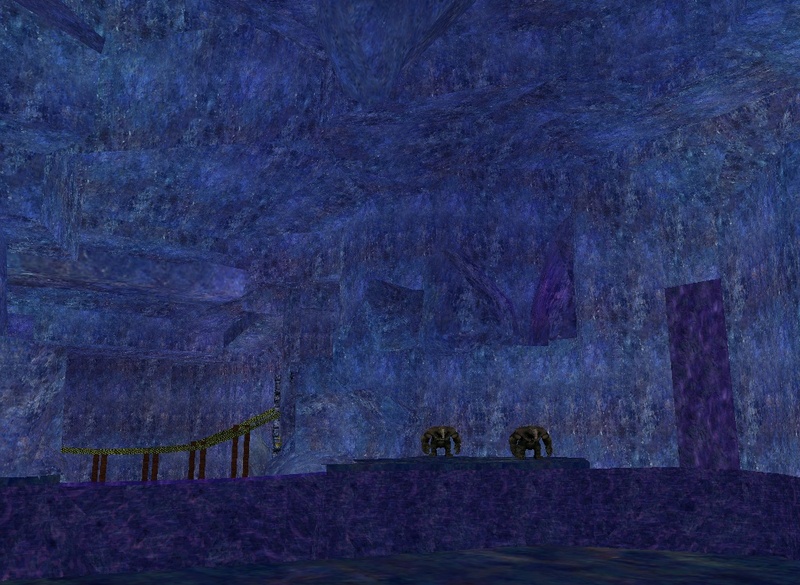 From there, follow the left wall around the big golden fish statue and down the tunnel in the left wall. Take the left branch when it forks and you'll hit the WW zone. The WW/SG zone should be safe on either side unless it has been trained. If for some reason at any point you get agroed, the seahorses or anything else in the water will not follow you onto land, they forget you immediately. Anything on land will follow you into the water, however, although they sometimes get a little buggy when crossing water and might fall behind if you don't stop to look back. I don't think that anything is as fast as sow, but I'm not certain of that. Just be careful and take your time and you should make it. Has anyone attempted a raid on the siren temple? From the zone in, you jump in the water and take a right (2 sea horses here). Swim through and to the left, and eventually you come upon another underwater tunnel to the left. (2 sea horses here, 1 swordfish roamer). Swim through and ahead you will hit a wall, swim up and out of the water and you're on a ramp that leads to a siren temple or shrine looking structure. 2 servants (Icy or Water) guard the front with several siren enticers and seductresses behind them. I've tried pulling them and all sirens near the front jump out along with the icy/water servants. We simply AE nuked and AE chain stunned with 3 enchanters. Wiped them out with about 50% mana to spare for every caster. This is with a 53+ raid. The problem comes in tackling the siren priestesses. They are L54-56 and CH over 3 times. Not only that but they cast some kind of "invigor" which appears to be a 2 second AE heal spell. We attempted to AE nuke them down again but got absolutely nowhere, every priestess (there were about 9 of them) CH'd. They resisted AE stuns as well. We tried CoH pulling from a distance and once peeled, and engaged, suddenly the temple would rush us. We were fighting up on one of the ledges to the right in front of the temple. My only explanation for the strange and sudden aggro is the bad pathing to the ledge. The siren just suddenly would warp on the ledge. So perhaps it warped back into the temple, spread the hate list around, then warped onto the ledge. Then when we attacked it aggrod all the mobs who had us on their hate list? Looking for any other means of pulling the temple. Pathing seems to be either down the center in front on the ramp, or around the walls of the temple. 2.) AEing/Chainstunning the servants is a good way to deal with them. So what you're saying is there's no soloing here? Molkors: 49-50ish clerics around 9khps, cast a magic or fire based DD that hits for 250 max and a Cheal on themselves. Note they run out of mana quick so don't worry about the heal, they shouldn't get off more than one. They drop crushed gems and netted kelp. Ulthorks: 49ish warrior around 11khps, hits for 130ish max. Drops netted kelp and crushed gems. Bulthars: 50ish warrior around 14khps, hits for 130ish max. Drops netted kelp and crushed gems. 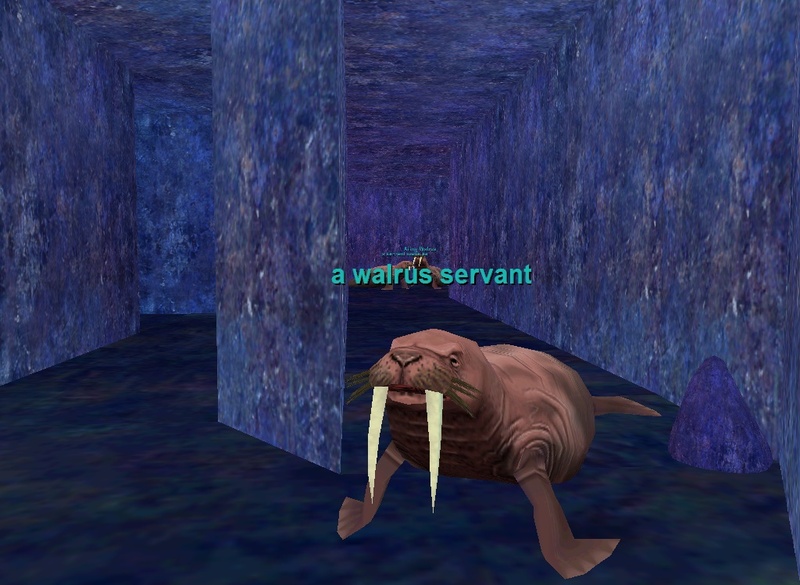 Walrus/mantee/: 47ish warrior 9khps, hit for 120 ish max. Killed 40+ never seen a drop. Always indiff until attacked, will agro if you attack anything else in range. Seahorses: 50ish enchanter? - 12khps hits for 179 max, drops bard stuff, hair, shell for 7th coldain and fishing pole. **NONE** of the above now summon, thats a fact. Enticers: some kind of caster not sure which, not fought them enough. Enticers are also Enchanters - I am an Enchanter myself working on the Prayer Shawl quests, and fought Enticers in CS for hours on end. They hit me with a number of my own spells, including Suffocate, Beguile, Entrance and Tash. Just curious, are there good places to camp here. What level range mobs are? I'm not in an uber guild, but would like to hunt here with a balanced group of 50+. Would multi groups be necessary? Ok, avoid the guards. If FD pull doesn't work (as a lot of SoV), can they be harmonized/pulled as in Skyshrine? basicaly this dungeon is designed to crawl through it, not camp a single spot. What about Abscond/Evacuate? Will they get me to WW zone safely? Yes, same spot as druid Egress/Succor. It's not that safe though, aggro mob(s) path right by the port point. With skin up and if you know the way, you can make it alright though (usually). Getting someone to invis you while you cast is safest. I came in here after the 6/28 patch to see what was 'more interesting' and it seems verant apparently made the zone weaker. There is only one mob near the CS zone, he's a molkor and hit for 128 that I saw. The seahorses I fought hit for 176, nothing more than that, between the four that I had attacking me. Just thought I'd post, I bet all people doing the 7th shawl are happy. #Anonymous, Posted: May 05 2001 at 6:28 AM, Rating: Sub-Default, (Expand Post) you begin casting your succor spell.... You can only cast thins spell indoors. get a life. Phew... was worried there for a minute. Glad it works in sirens grotto then. So How hard are the mobs here? Land mobs seem to be the roughest of the bunch, all of em smack pretty hard, even the Siren Enticers can hit for as much as 260. There are a couple (perhaps more?) siren temples in the grotto which have protectors that look like air elementals (I can't remember their names for the life of me) and these things are real nasties. In addition to being able to just about any tank you can throw at them in a hertbeat, they also cast an AoE debuff/DD (can be partially or full resisted) called Frosty Death. at most the DD hits for 500 (which it will do most of the time). The range on this AoE was huge and could hit anything in the area (basically a little larger than the walled in arena), it seems to radiate out from the casters too. Additionally our enchanter thinks that the two are linked, meaning you can't get one alone; two encahnters might be able to chain mez though sinze they seemed to have less resists than the sirens. Stuff in the water isn't all that tough, and there will be few times that you'll have to engage more than two at a time. Plus fish immediatly return home after you resurface, which is a huge plus. pathing of course is always a concern in the water but it works similar to kedge, most things you pull will find its way to you without much concern of agroing others if it shouldnt take the route you took. What is the faction hit here? Only faction hit I have encountered is Sirensofthegrotto.